Kitchen islands are a great place to show off a special collection. 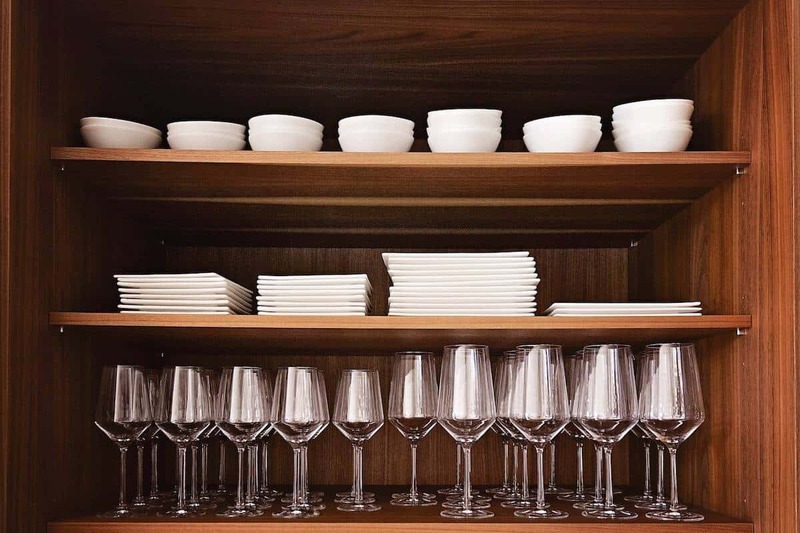 Have you ever noticed the lack of “stuff” in a designer photo of a kitchen? There are usually three ubiquitous things in the entire kitchen: a knife block, a bowl of fruit, and a plant. That’s it. While that’s fine for a photo, I’m pretty sure that’s not reality for most people. We spend so much time in our kitchens, and the counters are usually a drop zone for “stuff” as you come into the house. It can be a constant battle to keep the kitchen clutter-free. Since we replaced the counters, I make more of an effort to keep the clutter at bay. But still the clutter accumulates. Currently, my kitchen counter has a lamp waiting to be rewired, some lamp parts, a spaghetti squash, mail, and a large calendar that needs to be hung on the wall, along with all the regular clutter. With diligence, you can keep your kitchen counters clutter-free. But, what about your special collection of turkey soup tureens or Aunt Glady’s jadeite? We collect these kinds of things, and then put them in a cabinet and only bring them out on “special occasions”. That doesn’t make a lot of sense. Why not put them on display? Will a sink or appliances, such as a dishwasher or wine cooler, be part of the island? Will there be cabinet storage space on both sides? Style – cabinetry or furniture? A mobile or stationary island? Will there be seating? How many seats? Will the island have two levels – a prep level and an eating level? Or all one? Is there a special collection you want to show off? By incorporating display shelves in a kitchen island, you have a chance to showcase your collection. Take a scroll through this Houzz Ideabook of fifteen kitchen islands, from traditional to modern style, with display shelves. I hope this Ideabook inspires you to include some kind of display shelves in your kitchen island.